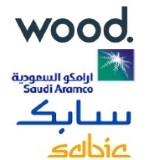 édité le 09/03/2018 - Plus de news de "Wood" - Voir la fiche entreprise de "Wood"
Wood has been selected to develop the world’s largest fully integrated crude oil to chemicals (COTC) complex in the Kingdom of Saudi Arabia, on behalf of Saudi Aramco and SABIC as the first PMC contractor. The company will provide front end engineering design (pre-FEED and FEED) and project management services during the engineering, procurement and construction (EPC) phase, supporting the development of the complex that is expected to process 400,000 barrels per day and approximately nine million tons of chemicals and base oils annually. The contract is expected to continue through to the start of operations, forecast for 2025. It will be executed from Wood’s Reading and Al-Khobar offices. Robin Watson, Wood’s chief executive: “We are proud to have been selected to be a contractor with Saudi Aramco and SABIC to deliver this significant greenfield onshore facility that will be a first for Saudi Arabia and among the first in the world to integrate the refinery and chemical process in this way. “Wood has a strong track record of successful delivery for both customers across their broad project portfolios. We will leverage our diverse capabilities, from design to EPC, to support the evolution of the facility at each phase. Our commitment is to combine our ingenuity, global expertise and local knowledge to ensure the safe, successful and timely delivery of this mega-project. Wood is a global leader in the delivery of project, engineering and technical services to energy and industrial markets. We operate in more than 60 countries, employing around 55,000 people, with revenues of over $11 billion. We provide performance-driven solutions throughout the asset life-cycle, from concept to decommissioning across a broad range of industrial markets including the upstream, midstream and downstream oil & gas, chemicals, environment and infrastructure, power & process, clean energy, mining and general industrial sectors. We strive to be the best technical services company to work with, work for and invest in. Saudi Aramco is a world leading integrated energy and chemicals company, driven by a core belief that energy is opportunity. From producing approximately one of every eight barrels of the world’s crude oil supply to developing new energy technologies, Saudi Aramco’s global team is dedicated to creating a positive impact. Saudi Aramco is focused on making its resources more sustainable and more useful, promoting long-term economic growth and prosperity around the world. SABIC ranks among the world’s top petrochemical companies, and is among the world’s market leaders in the production of polyethylene, polypropylene, advanced thermoplastics, glycols, methanol and fertilizers. SABIC manufactures on a global scale in Saudi Arabia, the Americas, Europe and Asia Pacific. The company operates in more than 50 countries across the world with 40,000 employees worldwide.